Blunt blades is your first big no no! Make sure you’re stocked up with all the right equipment before you start. 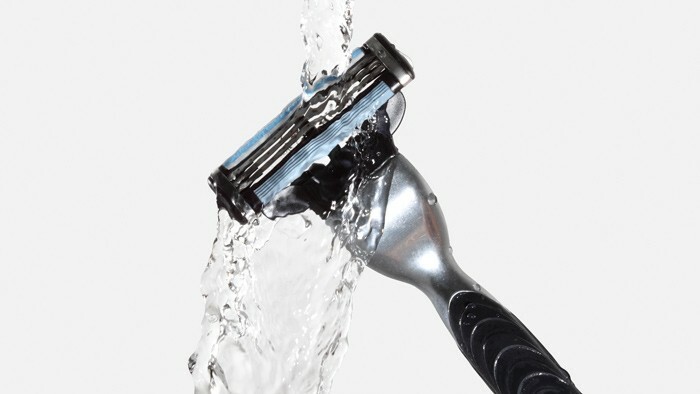 Clean your blade after every use and replace after 3 shaves. Always shower before you shave as the heat will help to open the pores and soften the skin for a smoother more effective shave. If you suffer from in-grown hairs then use a suitable exfoliator product before you shave to soften up the bristles and help release any trapped hairs. It is most men’s routine to crawl out of bed, peer through a half steamed up mirror, stick on the first product that comes to hand, drag the disposable razor across their face and stifle a scream to finish when they slap on the aftershave! A good shave is never rushed and a little time and tender loving care in your shaving process will greatly improve the finished look and avoid those razor burn rashes and missed patches! Allow an extra 10 minutes and you could look like the hunk on that advert! It may seem old fashioned but investing in a good shaving brush can help you to achieve a superior shave. Brushing also helps remove dead skin cells from the surface of your face, ensures that the cream covers every part of the area to be shaved and if you use a circular movement it also lifts the beard away from the face, making it easier to cut and giving a closer shave. At Jacks we recommend men-u’s synthetic premier shaving brush. The bristles generate an amazing amount of lather, require less shaving cream, rinse easily and dry extremely fast, making it much more hygienic than animal hair. Using the right products in the correct order can alter your routine and transform your shave. 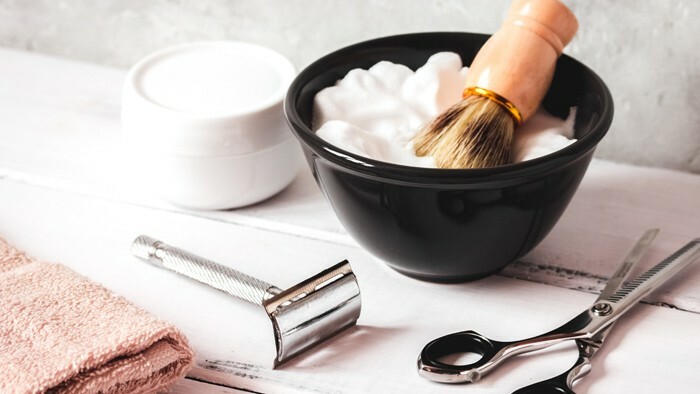 Always pick up your shave products from a professional outlet like Jacks of London so that you can get help and advice on the best products for your skin and schedule. It can be a minefield so why not make it simple for yourself! Jacks of London highly recommend the men-u shaving range as it caters for every skin type and offers a simple but effective routine. Using an anti-bacterial face wash after you have shaved is one of our top tips. It will cleanse the pores and remove all the shaving residue to help avoid that dreaded shaving rash. Men-u’s healthy facial wash has a high concentration of tea tree oil and is ideal to help cleanse and protect from spots and shaving rash. Also included is witch hazel for it’s soothing, healing and astringent properties. Wash your face with cold water to help close the pores and finally don’t forget to moisturise! Keep your face young looking, wrinkle free and soft to the touch with this simple daily task. 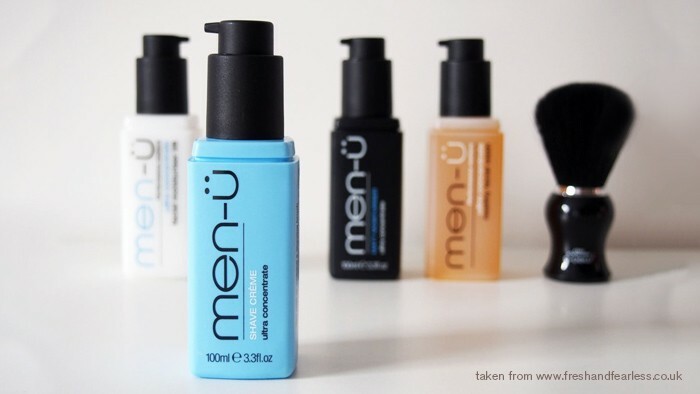 Men-u’s facial moisturiser lift soothes and moisturises post shave and has mint & menthol to cool and refresh. Don’t shave everyday; allow your skin to rest. 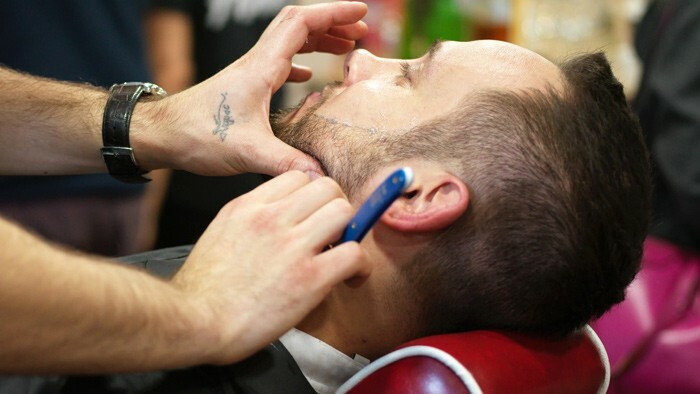 And if you really want to treat yourself and get some shaving tips first hand along the way, then why not visit Jacks of London for a traditional cut-throat shave. Our experienced Barbers will indulge you with a 40 minute relaxing experience which includes hot and cold towels, soothing oils, mini facial massage and professional men’s product ranges that will leave you feeling silky smooth for days.